All test artifacts in one place. Always up-to-date. 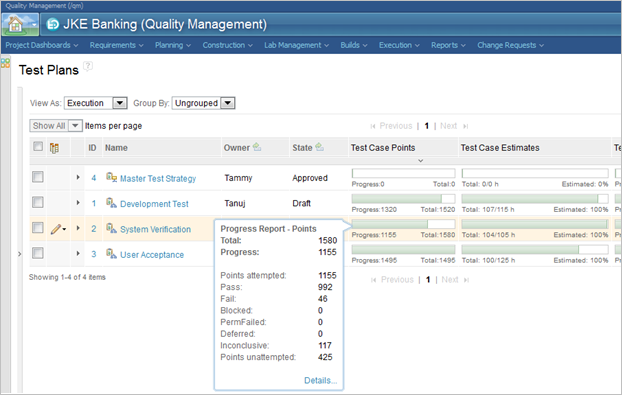 Test plans in Rational Quality Manager are customizable live artifacts that capture the test process, strategy, and responsibilities, the test schedule, the quality goals, the entry and exit criteria, a set of test suites and test cases, and any other dimension of the testing activities. 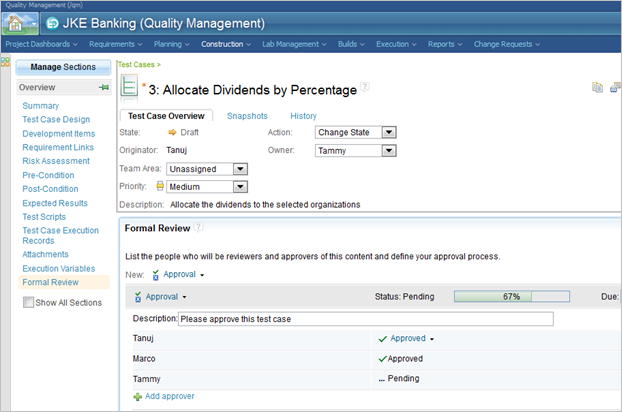 They can be linked to the requirements and development items to enable full traceability. Involve the whole team including business analysts, architects and developers as well as QA professionals in the testing and quality processes, through reviews and approvals. Improve the collaboration between the developers and the testers through transparency and in-context discussion. 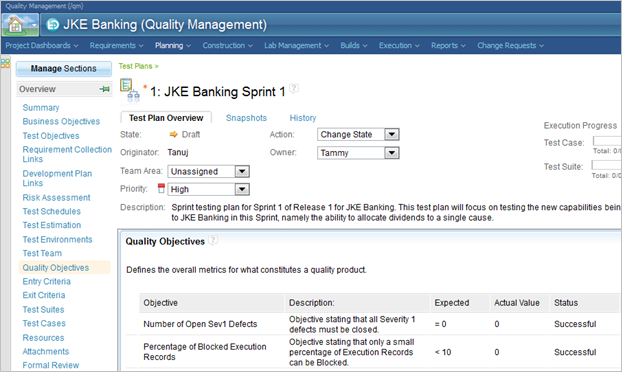 Define clear quality objectives known, agreed upon and embraced by the whole team. Decompose your test plan in iterations, test suites, and test cases, and assign owners for each of them. Assigning ownership ensures successful collaboration. Stop spending hours in putting together test reports and trying to understand how well you are tracking against your objectives. 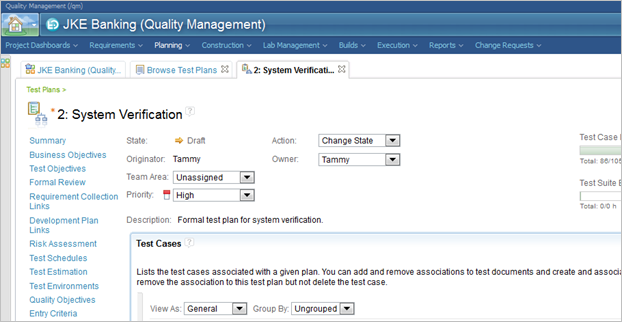 Test plans are live documents that provide real-time status, for example in terms of test case execution.